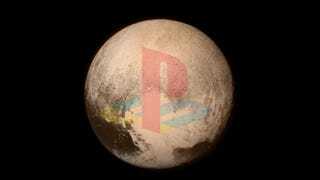 This week, the world has looked on with awe as the New Horizons probe sent back the first ever detailed pictures of Pluto. Those images weren’t taken using the latest technology, though; New Horizons launched in January 2006, and was obviously designed and built even earlier. Not the PS2. The original PlayStation. Basic and low-fi by even 2005 standards, sure, but hey, it worked! And is still working, nearly a decade on, despite the best efforts of (quite literally) time and space.